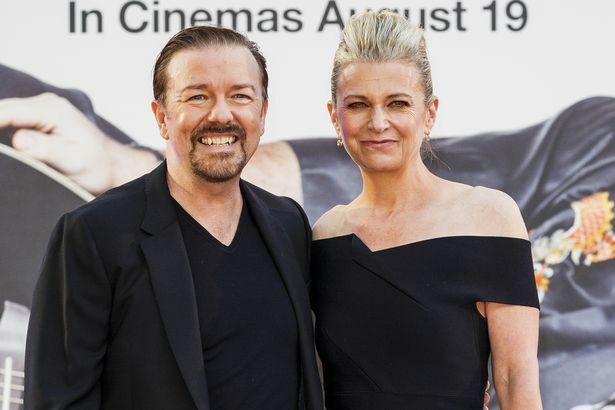 He’s no stranger to an awards show controversy – but this one’s a belter even by Ricky Gervais’ usual standards.The Office star was in Los Angeles to collect a top award from BAFTA for his comedic achievements – but his acceptance speech veered well away from the classic “Thanks to my partner for all her support”. Instead, he labelled his girlfriend of 30 years a freeloader who had contributed “f*** all” during his time at the top, and quipped that he had nothing but contempt for the award. He’s a braver man than I am. 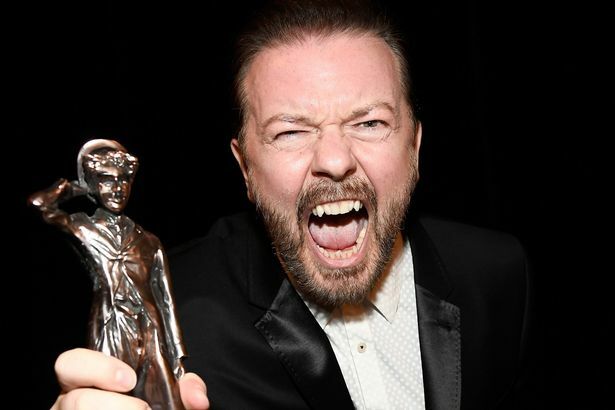 The comic – who seemed more than a little drunk at the Beverly Hilton hotel where the annual Britannia Awards took place on Friday night – provoked rapturous laughter with the controversial speech before heading off stage to “go and get drunk more”. He said: “I’ve been to a lot of awards ceremonies here. Someone always gets up and says ‘I haven’t prepared a speech. I didn’t think I’d win’.“Well I knew I’d won and I didn’t prepare a speech. It shows you the contempt I have for this award and this town in general. “I’m joking of course. This is a great town. It’s all about celebrities, which are the best people in the world. The most important. “This particular award is the probably the greatest BAFTA award. So the best award in the history of the universe. “What I’m taking from this is you, and everyone in show business, is saying to me that I’m better than Charlie Chaplin. I humbly accept this award.”He gushed: “And my girlfriend of over 30 years Jane, although she has not really contributed to my career. This is all me. In fact thinking about it she has done f**k all. Then admitting how his words may confuse some of the US audience Ricky added: “I am drunk. Thank you. I would like another award next year – it was a free trip thanks to BAFTA and American Airlines you know it let’s be honest, shut up.